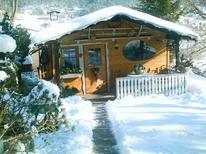 Holiday house for 15 to 40 people in Wildschönau​. ​Tyrol | Nice evening playing games, cooking together and lovely moments with your loved ones can be experienced in our extra large holiday houses in Tyrol! 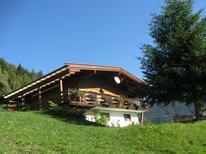 A holiday house in Tyrol costs on average USD 749 in the cheap travel period and USD 1,621 in the peak season per week. These details are of course in relation to the house and not per person as well as includes the obligatory additional charges. There's a fair chance you might think you've landed in a storybook fairytale at some of the Tyrol holiday homes listed on TUI Villas. You're not far wrong. This magical mountain region in the west of Austria, by the Italian and German borders, is a land of lederhosen, Edelweiss and oom-pah bands as much as magnificent castles, medieval villages and impressive churches built into the mountainsides. Tyrol is famous for its many world-class ski destinations, though you'll find a lot more than resorts between the cultural high-life of Innsbruck and the remote beauty of the Hinter Valley. 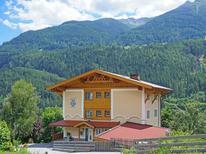 Why a holiday home in Tyrol? 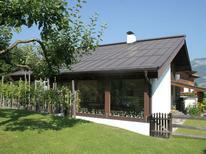 The advantages of booking a holiday home in Tyrol are many, but convenience is at the forefront. Search TUI Villas' range of holiday apartments across Tyrol, and you'll find something that provides all the comforts of home for you and your whole family, conveniently located wherever you want to spend most of your time on holiday – be it skiing, hiking, swimming, shopping or exploring. The time you spend travelling or commuting will be cut dramatically if you plan ahead when booking a holiday home in Tyrol. Tyrol is best known as a winter skiing destination, and it’s little wonder why with its world-renowned resorts such as St Johann, St Anton and Mayrhofen at your doorstep at any holiday home in Tyrol. For families on a ski holiday with children, St Johann is a sound location for a holiday apartment in Tyrol, as its pleasant town centre is pedestrianised during the day and there are loads of ski schools and daycare options. If you’re after more of a challenge on the slopes, St Anton has possibly the best selection of expert black and double black runs in the Austrian Alps, and if you want to tap into the beauty of the Zillertal Valley, Mayrhofen is the place to be. TUI Villas has countless holiday homes around Tyrol that fit the European alpine dream, whatever version of it suits you. If you’re looking for a holiday home in the Alps with a rooftop terrace or heated outdoor patio from where you can take in the panorama, TUI Villas can help you. If you need some simple mod cons such as a dishwasher, washing machine, WiFi or satellite TV while you’re on holiday, you’ll find them all. If your preferences are more specific, such as a heated, separate boot and ski equipment room to get your gear dry for the next day, or a luxurious spa bath to loosen your muscles after a day on the slopes, you'll find these options, too. 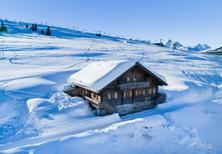 TUI Villas also offers plenty of typical alpine log cabins of all shapes and sizes, replete with fireplaces, central heating or bar heaters, all making for a homey holiday in the Alps. 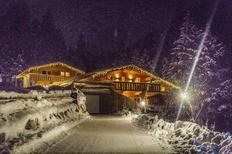 If you think a holiday home in Tyrol is only good for skiing holidays, think again! A stunning area of natural beauty, Tyrol offers exceptional recreational activities that go beyond snow. During summer, there are countless hiking trails through the trees, taking you up staggering mountain paths or through sweeping valleys. As well as passing by beautiful nature, these routes through the mountains take you through some stunning old towns where you can get a taste of times gone by – experience Austrian hospitality in the form of beer, music and dancing. 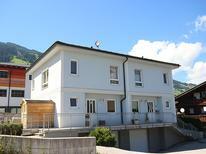 Depending on where you choose to go, you can book a holiday home in one Tyrol town and return after walking each day, or spread the trip out between several homes to see more of the region. 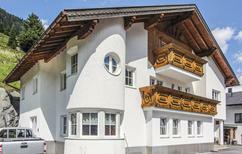 If you’re renting a holiday apartment in Tyrol, you might as well have a look around. As one of Europe’s most beautiful mountain regions, the area offers so much in addition to amazing skiing. Sure, the Paznaun Valley has incredible mountains, the Zillertal has perhaps the most reliable year-round skiing anywhere in Austria, and the Ötztal Valley has more than its fair share of family-friendly and expert slopes. But, instead of having another traditional ski holiday, why not go and see where Ötzi the Iceman was discovered and walk through a recreated Neolithic village? 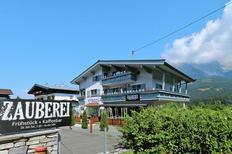 Or travel to Innsbruck to see an opera, stroll the ancient city streets and visit Tyrol’s best museums? If eating is what drives your choice of a holiday home in Tyrol, you won’t be disappointed by the Speckknödel (bacon dumplings) you’ll find at some of Tyrol’s smaller towns away from the resorts – think big flavour and even bigger helpings! 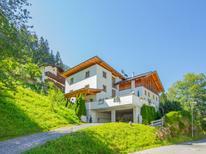 Given its dramatic alpine location and remote feel, Tyrol is impressively easy to get to. The train is a brilliant, scenic way to get to your holiday apartment in Tyrol’s main towns, winding through mountain scenery and opening onto stunning vistas at seemingly every turn. Innsbruck is the hub of rail travel in Tyrol, and daily connections go between Innsbruck and all major cities in Europe. 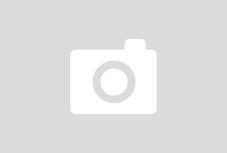 You can fly directly into Innsbruck’s international airport from London other major European cities. An alternative is flying into Munich, which is within a 2- or 3-hour drive from most holiday homes in Tyrol. It’s wise to hire a car if you want to move around a bit, though the area's reliable public transport makes it easy to get around. Although you can ski in the Hintertux glacier area at any time of the year, the most reliable time for snow across all of Tyrol’s ski resorts is from December through February. In many higher resorts, you can find fabulous skiing from November to March, and on the edges of that season, you’re also likely to find fewer crowds. As Easter approaches, the snow can become softer and skiing isn’t usually as great, although this is not a hard-and-fast rule – some years see great snow into April. As Tyrol is an alpine region, the winters are predictably cold but not especially harsh. Summers are sunny and mild, often with clear days during July and August, making for fantastic walking weather.